Judicial Watch today released new State Department emails (one batch of 103 pages, the second of 138 pages) that again appear to contradict statements by former Secretary of State Hillary Clinton that, “as far as she knew,” all of her government emails were turned over to the State Department and that she did not use her clintonemail.com system until March 18, 2009. Judicial Watch recently released Clinton State Department emails dating from February 2009 that also call into question her statements about her emails. Emails of official State Department business received or sent by former Deputy Chief of Staff Huma Abedin from January 1, 2009 through February 1, 2013 using a non-“state.gov” email address. Many of the documents predate March 18, 2009, go back as far as January, and were not turned over by Clinton to the State Department from her non-government server. The emails cover topics such as: her schedule and travel plans; criticisms of Clinton by Richard Gere; Afghanistan; U.S. financial aid and security concerns for several Pacific Islands; the recommendation for a health care system overhaul; and food security. Other previously unreleased emails are dated March 18, 2009, despite suggestions by Clinton that she had turned over emails with that date. These emails refer to, among other things, her “friends at Planned Parenthood” and a call to Bill Clinton’s former National Security Adviser, the late Sandy Berger, who was convicted of illegally removing classified documents from the National Archives. 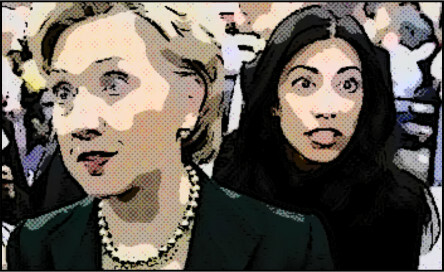 On October 16, 2011, Clinton sent a “confidential” backgrounder from former Ambassador to Malta Doug Kmiec (sent from his apparently unsecure server) to aides Abedin and Cheryl Mills. The email has since been redacted due to its classified nature. Specifically, Kmiec discusses sensitive persons and organizations working in the US Embassy in Malta – the U.S. Maritime training program with the “AFM” (Armed Forces of Malta). I just got the I’m exhausted thing from her and Eugene [likely Eugene Bae, Clinton’s advance official] isn’t going to be able to tell Oscar de la Renta to shut up. A March 31, 2011, email from State Department official Michael Hammer to Abedin and others shows yet another non-State.gov email address of HumaMAbedin[Redacted], which differs from the known Huma@clintonemail.com and HAbedin@hillaryclinton.com. On December 5, 2014, 30,490 copies of work or potentially work-related emails sent and received by Clinton from March 18, 2009, to February 1, 2013, were provided to the State Department. This totaled roughly 55,000 pages. More than 90% of her work or potentially work-related emails provided to the Department were already in the State Department’s record-keeping system because those e-mails were sent to or received by “state.gov” accounts. Early in her term, Clinton continued using an att.blackberry.net account that she had used during her Senate service. Given her practice from the beginning of emailing State Department officials on their state.gov accounts, her work-related emails during these initial weeks would have been captured and preserved in the State Department’s record-keeping system. She, however, no longer had access to these emails once she transitioned from this account. The Associated Press previously reported that the State Department received from the Department of Defense emails between Clinton and General David Petraeus that also predate March 2009. Those emails have not been released to the public. While I do not know what information may be “responsive” for purposes of this law suit, I have directed that all my e-mails on clintonemail.com in my custody that were or potentially were federal records to be provided to the Department of State, and on information and belief, this has been done. As a result of my directive, approximately 55,000 pages of these emails were produced to the Department on December 5, 2014. Cheryl Mills did not have an account on clintonemail.com. Huma Abedin did have such an account which was used at times for government business. The document is signed by “Hillary Rodham Clinton.” The State Department was ordered by US District Court Judge Emmet Sullivan on July 31 to request that Clinton and her top aides confirm, under penalty of perjury, that they have produced all government records in their possession and to return any other government records immediately.